Please welcome the following new members of the SKCC family. Watch for them on the air and help them get started on their first SKCC QSO’s! Here are some of their reasons for joining the SKCC. Recently returned to ham radio after a 50+ year absence. Have been elmering my 12 year old grandson, new ham KC3MSU, and we are learning Morse Code together. Many of the slow code operators I hear on the air are SKCC members, so we should fit in. My grandson still has a way to go before he's ready to have a CW QSO, but I will eventually have him join SKCC, too. Re-learning CW, and I am trying to get as much help as possible, and it looks like you have some interesting resources. Thanks. As a kid I remember watching and listening to my Dad, (KØQBR) now SK, work CW with a straight key back in the late 1950's and early 60's. CW has always been my main attraction to HAM radio since then. I enjoy CW very much and want to keep manual, straight key CW alive! I’m getting back into cw and SKCC looks like a good place to start. Improve confidence with CW skills. Started learning Morse early December to honour my late grandfather who used it during WWII. Becoming better in the sending and copying of morse code. Love the code. I would like to send and receive at the speed most SKCC operators use. I like my hand key and want to get more practice with using it. I think these monthly "contests" will be a fun opertunity to use code. Don't have any CW gear yet. Working on getting it. Very strong interest in learning CW. Seems like good incentive to keep learning morse. After 30 years off ive come back to Ham radio and its about time i learned morse ! I have recently learned CW through the CW Ops programs and learned about the SKCC through other members so I wanted to join. I have shifted mostly to CW for mode and would love to have more CW qso's with other CW operators as much as I could. Would like to learn Cw and this provides an opportunity to work on improving skills and communicating with like minded individuals. To improve my CW skills, and to preserve the tradition of CW. Long time interest in qrp and CW with preference for hand speed sending and recieving. 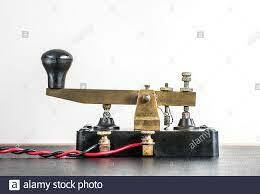 Its been a long time since I used C W and I am very rusty so to speak and would like to become better at operating C W.
I have been slowly learning morse code for several months and recently began making QSO's with a straight key. I would like to be part of the many hams who enjoy CW. Thanks. Learned code when first licensed, then I ignored it for years. Took a class at the local club to relearn .... now to get better. Main reason? QRP. Love CW. Returning to amateur radio after letting my license lapse 20 years ago. It looks like a lot of fun and I would like to improve my CW. Morse is the heart and foundation of amateur radio. The Straight Key is the basis of Morse. Like my other equipment, I like equipment I *can* build for myself, even if I choose to pay for it. would like to use CW again but don't have the speed I used to have. Just getting back on the air after a long absence and desperately need to brush up on my CW. This group sounds like it's just what I need. Especially since straight keys are all I ever used. New Ham, learning Morse Code. I love the straight key! I want to do more qrp cw on my straight key to improve my operating skills. Looking for skeds and to have fun with CW!! I should have 60 years ago (but you weren’t there)! I want a sandbox where I can play and learn. I received my Technician in February, will test for General in June. My next step is learn CW before going on for my extra. Finally ready to get over the (imagined) fear and nervousness of CW. Funny, never really wanted to learn CW until it was no longer required! Hope to develope good skills and learn along the way. Goal is to be able to contest someday and once CW is a second language to me, be able to mentor someone in the mode as well. Thanks for the welcome, and i look forward to a QSO soon with many of you! I need to practice and be involved, and help keep CW use in ham radio. Fairly new to CW. Want to have the opportunity to work CW at a slower pace in order to build confidence in my abilities to read and send CW. Intend to us CW here at the house and outside (SOTA & etc.) on my X5105 and Pixie. Thanks and 73.
simply to keep practicing my CW. Trying to learn more code and was told this organization was very helpful and committed to keeping Morse code relevant. I have held a Novice license since 1978. I've kept it up to date with the FCC ever since. I am now working on my TECH and GENERAL tickets and I want to get back in to code. I learned it to get my Novice ticket. I want to use it again when I get one or both of my tickets next month. I have always loved hearing CW and I feel for my difficult location it's the best mode of operation. I am also determined to become more proficient in the use of both receiving and sending and hope SKCC helps! I'm interested in CW and have been bitten by the Morse bug. Hear loys of SKCC CQs so why not join them. I want to get back into cw after a long break after operating ham radio after a 14 year breakand even longer from cw. A you tube video by Cliff N4CCB made my mind up to join SKCC. Watched the Cliff N4CCB video and it got me hooked. I started out in the 60s in the ARRL traffic system. I’ve always enjoyed CW operation - traffic handling back then and contests . I was inactive for a number of years and am just getting back into it. My rig has a built in keyer but I want to get back to basics. I picked up a vintage Hamkey straight key and I’ve been practicing to get some of the rust off my fist. Joining SKCC seemed the natural thing to do. Learning CW and thought that being a member would be a good way to improve my CW skills. To improve my very rusty CW. I heard qrpschool talk about skcc on his youtube channel. Sounds like fun and like it could help me get better at cw. To help keep the art of CW alive. Although I am still learning. I got a taste of straight-key operation during a recent SKCC event by setting my iambic paddle into straight-key mode on the rig; while not an ideal input device, that inspired me to acquire a proper key. I look forward to participating in similar future events with other members. Got my General in December and want to learn CW for QRP and SOTA. Get back to basics, improve my skill and just enjoy radio again. ! I enjoy CW and using the key. Like to go back and do cw again. I am just entering the world of CW and am very excited to log some QSO's! I feel that this is a great way to honor my grandfather (formerly G3GSN of the United Kingdom) by using his straight key while simultaneously improving on my sending and receiving. To increase my CW ability. Just want to join in the fun. I'm almost entirely a CW guy (always on a straight key) and eager to swap numbers/contacts with other SKCC members. My hope is SKCC will help me become a better CW operator. Would like to participate in the sprints and improve my CW skills. Want to learn and advance in use of straight key. I enjoy the purist aspect and historical value is straight key. I want to get better in CW. New(ish) Ham. First attached to the hobby after a visit to Bletchley Park & learned how morse code communications were intercepted, decoded, then decrypted. Want to experience the "fundamental" mode. Be nice to have a skcc number. I am a Morse enthusiast who wants to copy and send by hand. Recommended by N4CCB. Long time ham (1957), try to keep up with the hobby. Use straight key for every QSO. Key is my original from novice days. Sounds like fun. I used a straight key exclusively for many many years! To keep proficiency with code. Getting back into Morse Code and want to meet others with the same interest. It's one more mode to have in my tool box. Hope to participate in the WES contests. I am new to ham Radio and I am interested in QRP CW. I watched some beginner videos on Youtube and your group was recommended for learning code. Invited by other SKCC members on the air. Looking to become more proficient with my copy speed. I want to make contact with other CW hams. I have been a ham less than one year and am currently taking the CW Academy Level 1 course.